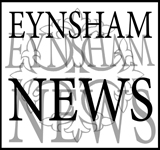 The Parish Council sections of Eynsham Online are all protected by copyright - © Eynsham Parish Council. All rights reserved. You should not reproduce them in any form, either entirely or in part, without express acknowledgement. All enquiries about Parish Council documents or updates or publication schedules should be directed in the first instance to the Parish Council Clerk. Eynsham Parish Council does not endorse any views, activities or services presented on this website, beyond the content of its own official documents. Similarly, the webmaster takes no responsibility for the Parish Council sections of Eynsham Online. This page was last updated on 15/08/2018.